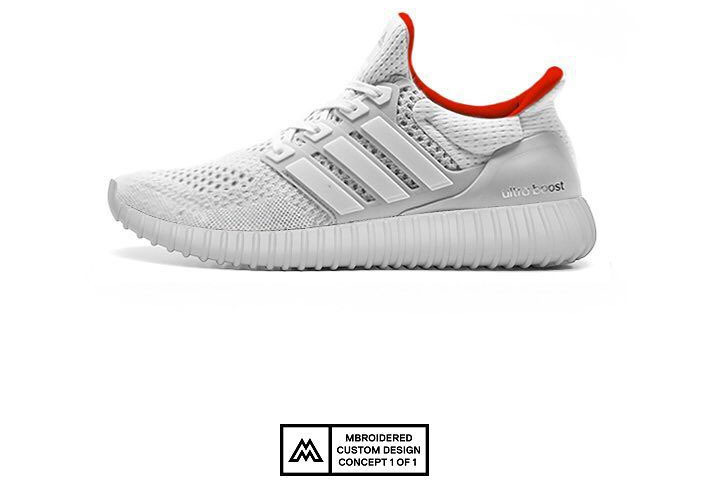 Federico Maccapani (MBROIDERED) is back with another sneaker graphic concept, this time combining adidas' two hottest releases of the year. 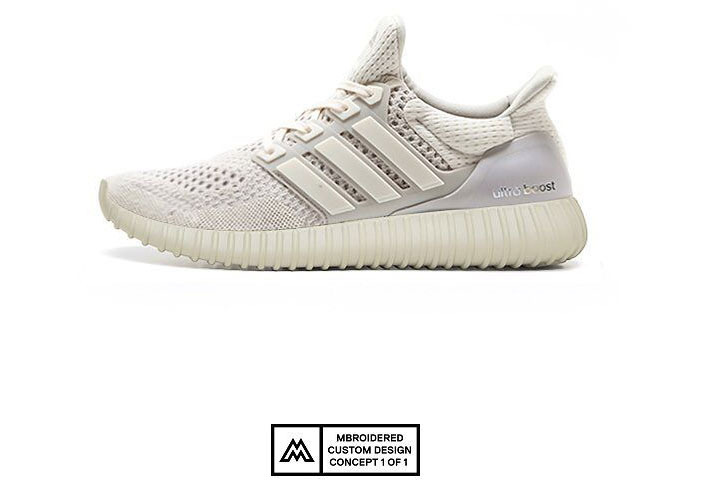 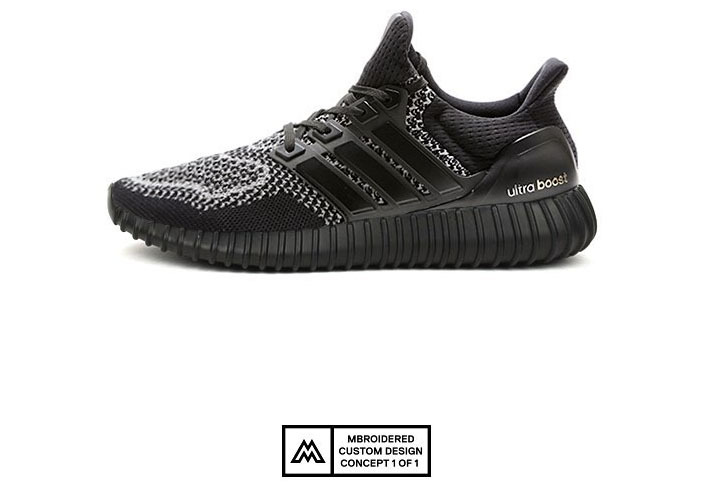 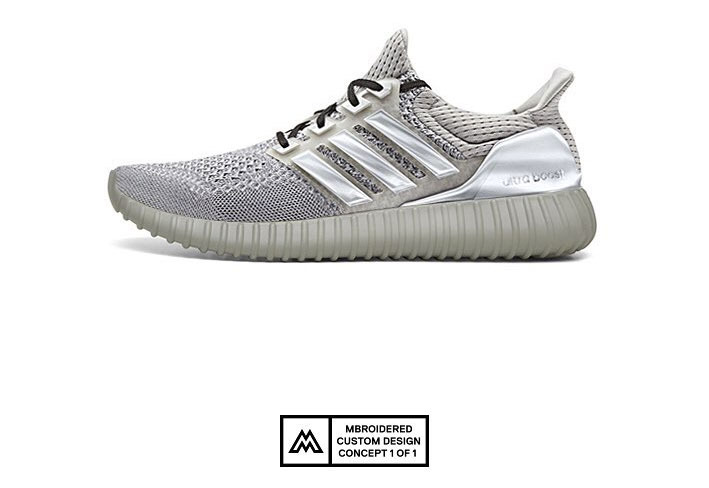 In this series of mash-ups, Mbroidered replaced the tooling of the adidas Ultra Boost with Yeezy Boost soles. Putting the renderings over the top, he imagined pairs in past Yeezy colorways, such as "Red October" and "Blink." 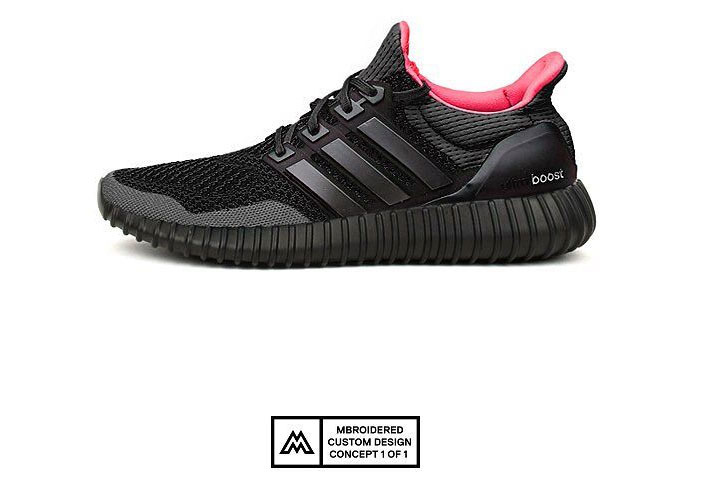 Though we'll likely never see "Yeezy" Ultra Boosts become a reality, the concepts actually flow well and would make for a mega release.